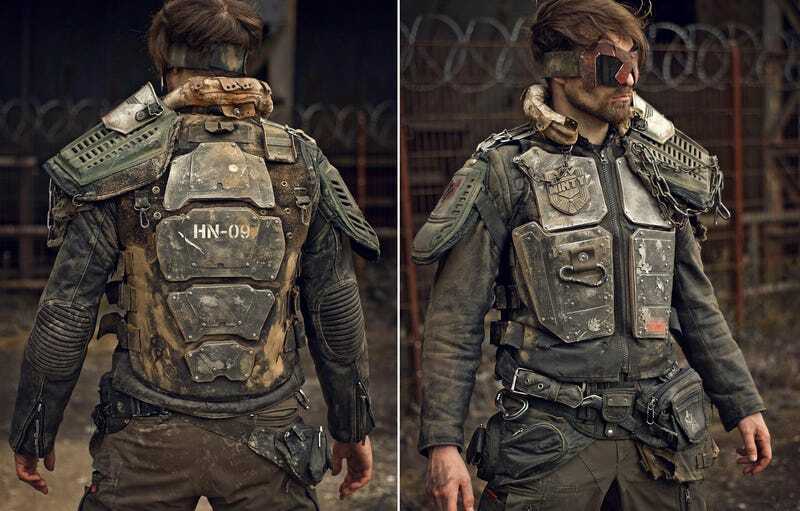 Dimitri Zaitsev wondered what it’d look like if you mixed the dystopian worlds of Fallout and Judge Dredd. So he put together this incredible outfit to find out. In the gallery below you’ll see the amount of work that went into the costume, not just in terms of its construction, but the weathering and other effects that genuinely make it look like it’s something that would be worn at the end of the world. Zaitsev runs Nuclear Snail, a business that doesn’t just make cosplay for fun, but also for stuff like magazine spreads and even museum exhibits.